We offer a full line of Boar's Head meats and cheeses. Stop by the deli counter to see what we have. While you are here try one of our amazing sandwiches made with only Boar's Head meats and cheeses! You can call ahead for your deli order. Freshest salad bar on the North Shore! We offer a loyalty card of buy 9 salads, get 1 FREE! Soup bar open daily. Selection changes everyday. Call us for the day's options. We receive fresh produce in daily. Check our Facebook page for daily specials, they change all the time. Here you'll find great quality and great prices on all your fruit and vegetable needs. CATERING: Our platter options are amazing. 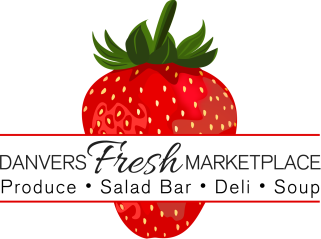 From tossed salads to fresh fruit and veggie trays, we are sure to have what you need. For any party large or small call us!